Q: How do you solve a country house mystery if you don’t have a posh country pad? A: be the housemaid! What is Cook’s secret? Who is the glamorous Mrs Bryce? What polish is best on candlesticks? Nancy Parker knows! This plucky teen knows exactly what she wants from life: to be a great detective, like the ones in her six-penny thrillers. 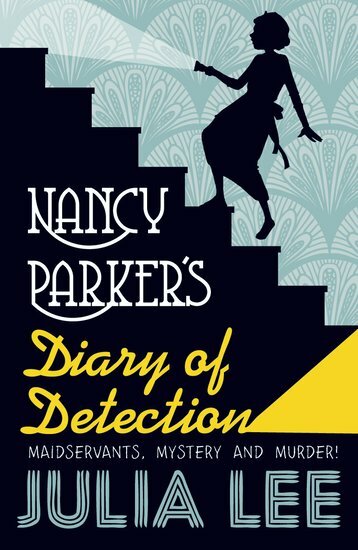 But life has other plans for a girl of her class, so instead Nancy is a housemaid for the very modern Mrs Bryce. Nancy yearns for a case bigger than “who stole the floor mop?”. But maybe she won’t need a career swapsie just yet. Lavish parties, burglaries and dark secrets. Mrs Bryce’s mansion is a hotbed of crime!